Fall is a great time to upgrade your landscaping. Plants, trees, and shrubs are slowing down from the hot summer and getting ready to go dormant. And of course when the weather starts to cool off a bit, it’s easier to do the digging! 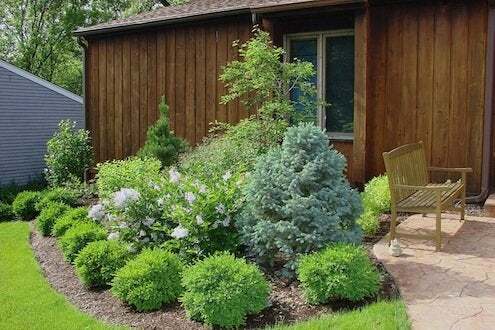 Take an inventory of what’s done well in your yard and what seems crowded: if you’ve got shrubs that need to be moved or you want to add some, this is the time to do it. To make sure a shrub will flourish, dig a hole twice as big as the root ball and fill the bottom with fresh loam. Set the root ball level with grade, then cut the cover off and leave the burlap in the hole. Fill around the root ball with loam, tamp it lightly and keep your new shrub well watered. Some pros build up a small rim around a new shrub to hold water where the plant can soak it up. Most importantly, choose plants for your landscape that are native to your area so that after the first few weeks you don’t have the coddle them with extra watering or fertilizer. Space shrubs and trees far enough apart so they won’t outgrow their location, and you can save yourself some work next season!